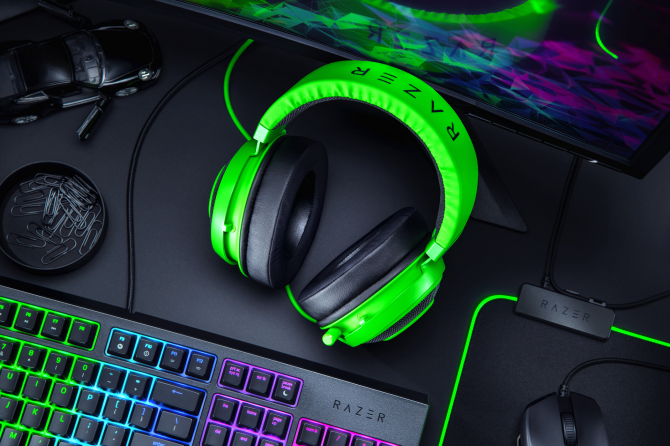 Customizable Presets: Configure up to 18 personalized presets to optimize game, chat, and microphone audio for different gaming situations. Dolby 7.1 Surround Sound: Immersive 360 degree audio lets you hear the direction of every sound as if you were playing with speakers all around you. 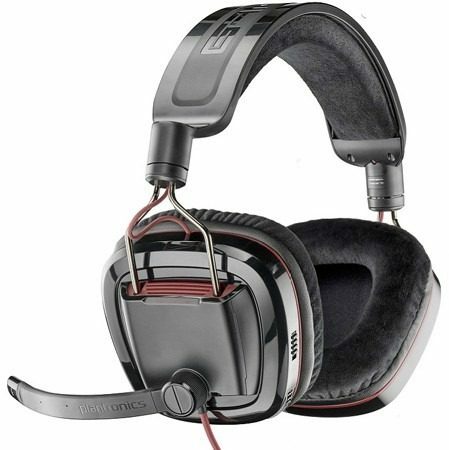 Digital RF Wireless Game Sound: Uncompressed wireless digital audio signal delivers CD-quality game sound that rivals professional grade wired headphones. Voice morphing: Disguise your voice by changing the sound from deep lows to screeching highs. Dual-pairing Bluetooth for Wireless Chat: Chat wirelessly on the Playstation Network, answer mobile phone calls or listen to streaming music from a digital music player while gaming. Dynamic Chat Boost: Chat level increases automatically as the game volume gets louder, so you can always hear the voices of other players. Microphone Monitoring: Lets you hear your voice in the headset, so you won’t need to shout to hear yourself. Sonic Silencers: Enjoy total silence by eliminating ambient noise pickup on your mic and cutting background noise from PSN or XBOX LIVE chat sound. Sonic Lens™ with Sound Field Expander: Widen or narrow the sound field to focus on difficult to hear audio cues like footsteps sneaking up on you or the clicks of someone reloading in the distance. Intuitive Voice Prompts: A real voice announces critical headset status conditions, such a low battery, preset numbers and more. Ear Guard with Blast Limiter: Limit the intensity of deafening games sounds such as explosions and gunfire to reduce ear fatigue during long gaming sessions. 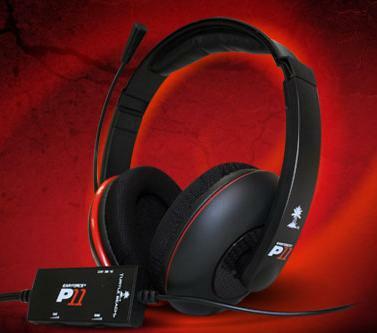 PS3 and XBOX 360 Compatible: Delivers the ultimate gaming experience with PS3 and XBOX 360 consoles. 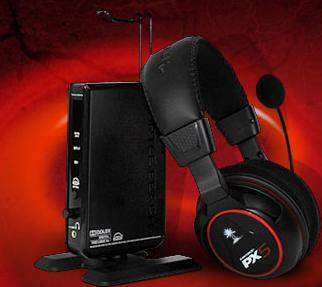 The Ear Force PX5 will be available in Spring of 2011 for $249.95. The Ear Force P11 will be available in Spring 2011 for $59.95. 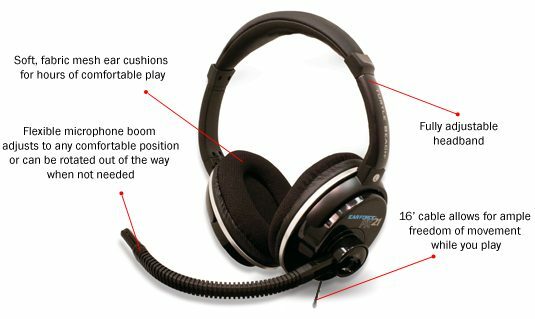 Last on the list is the Ear Force XC1, which is specifically designed for the Xbox 360 and playing online with friends over Xbox LIVE. The XC1 has an “open ear” design, allowing sound from the game to be heard in both ears. 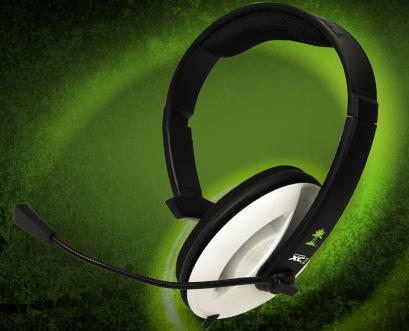 The Turtle Beach XC1 will be available during Spring 20111 for $24.95.